An evaluation conducted by the Screening Group, Early Detection and Prevention Section of the International Agency for Research on Cancer (IARC) in Lyon, France, revealed that the Breast Cancer Screening Program in Morocco is limited, reported community website for medical imaging professionals AuntMinnie on Tuesday. The group led by Dr. Pathu Basu, interviewed managers and visited randomly selected sites, indicating that the program applied in the Kingdom comes «up short in terms of the cancer detection rate even though the rate of annual screening coverage achieved was acceptable», says the same source. According to the IARC team, 60% of Morocco’s annual target population was screened but the cancer detection rate is way below average. Numbers suggest that the Kingdom’s cancer detection is limited to 1 in 1.000 women. For the group it is how Morocco choses to detect cancer that should be reviewed. The country uses clinical breast exam-based screening through routine health services, instead of mammography. The technology is expensive, complex and hard to implement, added the study. 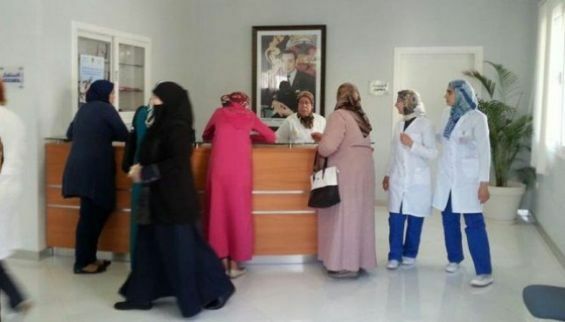 Morocco’s breast cancer screening program, initiated in 2010, covers women aged between 40 and 69. These women are subjected to clinical breast exams at primary health centers by trained nurses, general practitioners and midwives who send the ones diagnosed by the disease to cancer early detection centers. Once there, patients can undergo surgical consultations, digital mammography, breast ultrasound, core biopsy, and fine-needle aspiration cytology. However, researchers believe that even if the program is well organized and supported it lacks a «mechanism to identify and invite the eligible women individually». «Taking cognizance of the consistent and robust data obtained from the program over several years, the national experts need to review the standards. [Clinical breast exam] positivity should be regularly monitored across the [primary health centers] and either too high or low values would necessitate retraining of the service providers», warned the team. What about eldery women ? Moreover, the evaluation explained that the «program is screening a proportionately higher number of younger women, and the elderly women with much higher risk of breast cancer are being left out». Authors also warns against the non-compliance of the clinical breast exam which could affect the rate of breast cancer in Morocco. Age is an important factor in cancer’s early detection but lowering the age in the case of Morocco may reduce the screening test's positive predictive value and the breast cancer detection rate, added the same source. Consequently, the program’s efficiency will drop and its cost might increase. A possible solution is to «collect the age of the screen-detected cancers to perform such analysis», says the study. Moreover, the Moroccan breast screening program must work on collecting data from oncology centers and population-based cancer registries to «document the stage shift achieved through screening», suggests the team. The International Agency for Research on Cancer, which is part of the World Health Organization is partnering with Lalla Salma Foundation for Cancer Prevention and Treatment to conduct a study that compares the stage distribution, quality of life, and survival between the screen-detected and the self-reported breast cancer patients at the major oncology centers in Morocco. The initiative is said to give valuable information for bettering the screening program.